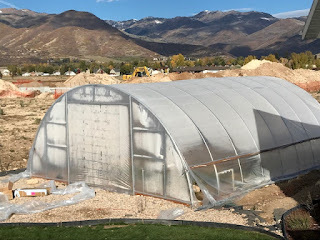 A greenhouse is no substitute for good growing practices, but I'm hoping for me that it can even out the playing fields some when it comes to the growing environment. I know in the past I've complained a lot about cool nights, hot days and strong winds. A greenhouse isn't going to fix all of that, but at least it can help me moderate it some. Yesterday we finally got the covering on the greenhouse. 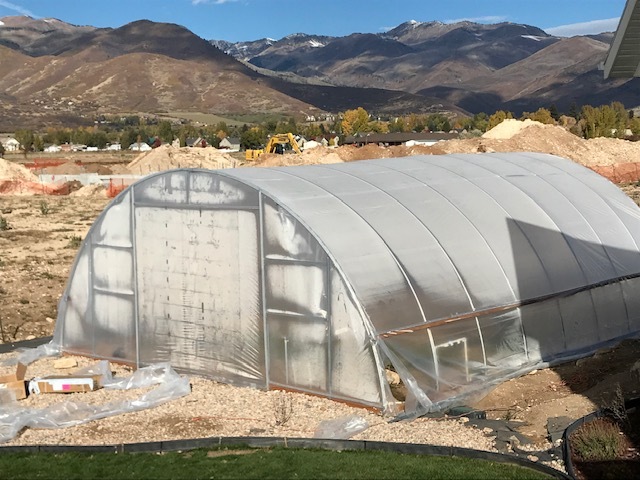 Still more work to do, but it finally looks like a greenhouse. 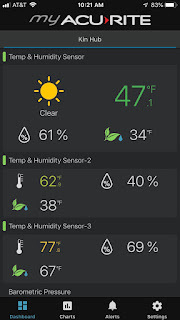 Like I've said in the past, I'll put together a video that explains some of the technology I've put into the greenhouse that will help me control the environment and help me save time. 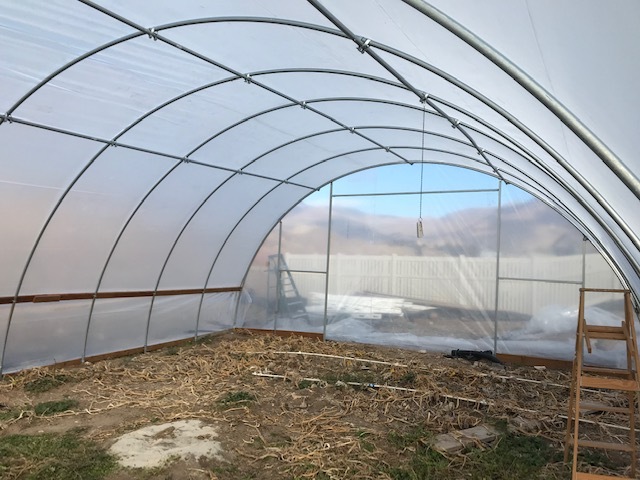 Ideally I wouldn't have put the cover on the greenhouse now as we head into the snowy season, but I didn't have much of a choice. In order for the NRCS to fund the greenhouse, they have to see it 100% completed and my deadline is March so if I didn't do it now, before the snow flies, I was going to have trouble trying to do it after the end of this month. Fortunately I finally got a beautiful, mostly windless Saturday and good friends and family to help. Thanks to them for that! Here is one piece I was very excited to see this morning. Temps got below freezing last night and at 7:30am it hit the low. It was still 10 degrees warmer in the greenhouse. That isn't typical, but the more interesting thing (although not surprising), is that not long after sunrise, when the greenhouse got out of the shadow of the house the greenhouse temps inside were 30 degrees warmer than outside. That is a game changer. I'm going to have other issues to deal with (keeping it cool enough during the heat of the day, disease pressure from higher humidity, etc. ), which I have plans for, but if I can get the temps in the happy zone 2-3 hours earlier each day that should add up to a couple to a few hundred more pounds more on the pumpkin by the end of the season.